Milos Beach – Aghios Nikitas (20 mins drive from Diodati Villas). 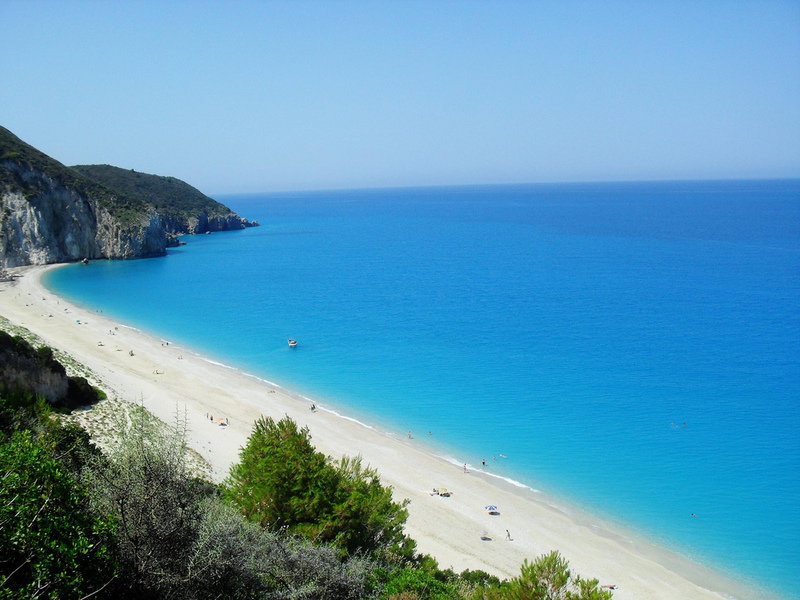 Mylos is wonderful beach located 14 km southwest of Lefkada Town, between the coasts of Agios Nikitas and Kathisma. Mylos is characterized by its unspoilt environment and beautiful features. Surrounded by the streep green cliffs that offers an imposing backdrop, the area is totally secluded, ideal for those who want to spend some relaxing and peaceful moments in this popular island. This beach impresses visitors with the large size, the soft sand and the crystal water. It doesn’t have any tourist facilities, so it provides the best spot for total relaxation. This distant beautiful beach can be approached by two ways. The first is by sea taxi from Aghios Nikitas (there is a regular summer service to and from Milos departing from the beach at the end of Aghios Nikitas Main Street). The other way is on foot behind the picturesque village in a pathway that leads behind the hill. It takes about a quarter to reach the beach and the visitor must carry with him the necessary supplies (especially during low season when sea taxis may not operate) such as shading and water.